If you are considering or in the middle of an agency adoption, the Law Offices of Baden V. Mansfield can help. Even though adopting through an agency is usually simpler and less stressful because of all the things an agency may do to help facilitate the adoption process along the way, problems can still come up. 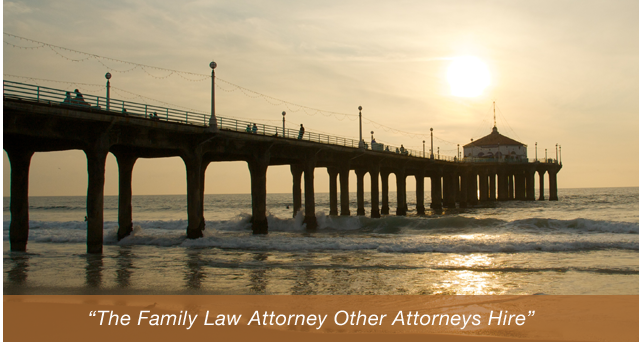 Therefore, it is usually still in your best interests to hire a Manhattan Beach agency adoption lawyer to ensure that your interests and your family are being represented as best as possible. Contact the Law Offices of Baden V. Mansfield today at (310) 546-5858 to discuss your situation, where you are in the adoption process, and what your needs are. Even though an agency adoption may seem simple at first, once you are in the middle of the process you may find yourself with the need for an attorney to ensure that your interests and rights are adequately represented. For instance, sometimes social workers at adoptions agencies will misrepresent information in their home studies, or drag their feet in addressing certain aspects of the adoption process, thus delaying when you will have a child placed with you. For all of these reasons – and more – having an attorney on your side can prove helpful. An attorney will handle this long, complex process for you so you can focus on what is really important: preparing yourself, your home, and any other members of your household for the newest family member to come. The Law Offices of Baden V. Mansfield has a 30-year history of experience in family law, adoption cases included. Our firm has a reputation in this area of law and among our clients, former clients, and fellow professionals for the many cases we have resolved. The way we handle cases, the types of cases we take on, and the results we obtain for our clients sets us apart from the competition. At the Law Offices of Baden V. Mansfield, we have a passion for representing people in their family-oriented legal matters and to make sure that happy families are created through the adoption process. We can assess your situation, identify the next steps in the adoption process with whatever agency you are working with, and obtain the results you desire. Helping you complete such aspects as the home study, questionnaires, etc. No matter what stage of the agency adoption process you are in, contact us. Our firm can help you assess your case, analyze your situation, and ensure that you get the results you seek. Many of our clients come to us with questions about agency adoption. As such, we have included some answers to some of the more common “starter” questions our clients ask when addressing agency adoptions, below. How are agency adoptions procedurally different? Agency adoptions differ from other adoption processes because the road to obtaining parental rights is a little more slow-moving and controlled. An example of this is that an agency adoption requires the biological parents to first relinquish their parental rights to the agency. The agency then relinquishes their rights and transfers them to you, the adoptive parent. In a private scenario, there would be no middleman. Consulting with an attorney may be helpful in figuring out whether agency adoption is right for you or if another route would be better. Are there benefits to an agency adoption over other types of adoption? With agency adoptions, a benefit is the level of support structures and resources built into the process. Having social workers already on contract with the agency, combined with their extensively trained, experienced staff, means that most needs and concerns of all parties are met. This is especially useful when it comes to ensuring the proper match and placement of a child into your family. For these reasons, and more, an agency adoption may be right for you. The cost of an agency adoption varies widely. This is because the cost depends on so many factors, such as the age of the child you are adopting, whether any issues arise about the home study, contract, relinquishment of rights, etc., and whether you are doing a domestic or international adoption. Most agency adoptions will cost thousands of dollars to complete. Contacting an attorney to discuss these costs, your goals, and your options will be helpful in getting you started on this journey. Hiring an attorney can actually keep costs down, as an attorney can ensure that every piece of the puzzle is put into place without hassle or complications. Whether you have just started the adoption process through an agency or are in the midst of it all, it is helpful to have a Manhattan Beach adoption attorney on your side. At the Law Offices of Baden V. Mansfield, we have the passion and knowledge you need to help protect your interests in the adoption process and ensure that everything goes smoothly while you welcome a new addition to your family. Contact us today at (310) 546-5858 to schedule a consultation and learn about how we can help you.